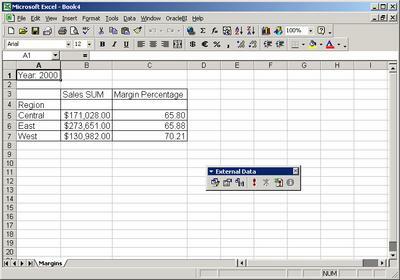 But, unknown to many, there is still a way available to get the same functionality, albeit only for the Excel export format. Connection id: cf_a102 (I am using a public connection here). You can see that apart from a small amount of IQY specific stuff like the first line with 'WEB' or the last parts of the URL with the '[' braces, etc... it should become apparent that you can extract the URL portion of it and past it into your browser. The URL that I extract is http://myhostname.com/discoverer/viewer? 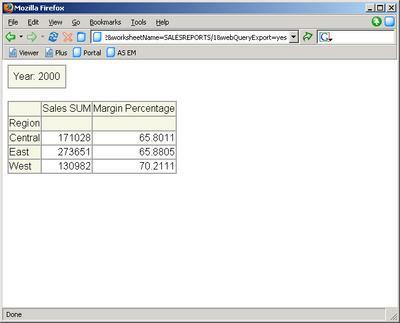 As you would expect, the query is run and the data displayed in your browser. So, the URL export functionality is still present, though in a limited form. A senior technical manager from a semiconductor manufacturer was traveling between San Jose, Calif., and Austin, Texas, when he began to overhear a man sitting across the aisle talking to a woman in the seat in front of him. The listener's ears pricked up when he realized that the man mouthing off was working for a direct competitor and was jabbering freely about issues that he was facing in launching a new product. At the end of an hour, the man listening quietly knew his competitor's price, the bugs in its chip, and who the product's first (and, more importantly, anchor) customer was. As he got up to deplane, he was recognized by a woman who had been seated behind him. She said hello and asked him whether he was still with the same company. When he replied yes, the man across the aisle shot him a look. The unlucky guy knew that he had made a major mistake. But it was too late. As soon as he was off the plane, the accidental spy called his salesman, giving him the details. His company not only won the business by undercutting the competitor's price and pointing out where the flaws in its product were, but because this customer was pivotal for winning more business, the other company was never able to launch its product properly, and within a year it had closed its doors. That anchor customer was supposed to be the reference for subsequent customers. I don' want to be judgmental or harsh, but really, it would take a genius of sorts to blabber so much, for so long, and so indiscreetly, and that too on airplane! Of course he seemed distinctly unlucky to find himself seated next to a persevering employee from a competitor. Anyway, the writer uses the phrase 'nerd-bird' to describe 'any direct flight between two locations infested with high-tech companies.' Examples would be San Jose-Seattle, Seattle-Boston, etc... I can imagine that any international flight leaving Bangalore is more than likely to be occupied mostly by software professionals. On my last flight to Boston, I found myself sitting next to an executive from HP, all the way from Bangalore to Frankfurt and then on to Boston. And speaking of privacy, I am reminded of a customer that wanted to turn off exporting functionality for its Viewer users. That's quite easily done, by customizing the Viewer layout in the App Server Control. Furthermore, the customer actually had software installed on all client machines to prevent even copying of text using your standard Ctrl+C functionality. I don't quite know if that would be an extreme example, but I can understand the need for companies to balance the seemingly contradictory goals of providing more information to their users yet still find a way to protect that information. 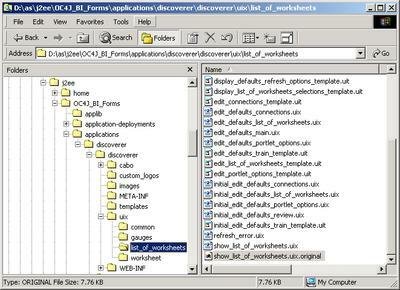 Discoverer 10.1.2 has some "patented" optimisations for "join and item trimming", which means that if you usually build your folders as custom folders, with a "select * from customers" type query, these optimisations won't be used (they only work on simple or complex folders, where Discoverer itself puts the SQL together) which is a good reason now to stop building folders like this. Item trimming - where items not needed in the worksheet are excluded from the generated SQL. Join trimming - where table/view joins not needed to satisfy a query are removed, but integrity constraints are maintained. 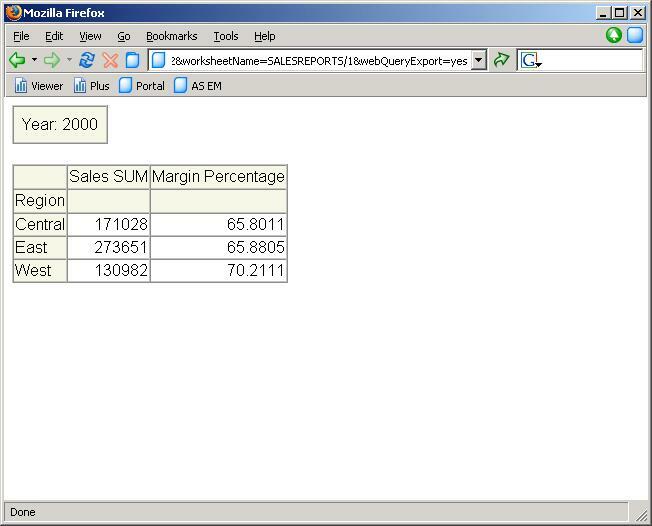 Inline view flattening - reduction in the number of inline views used in the SQL query generated. Some minor changes were made to the Discoverer Administrator UI, but for the most part no worksheet modification or other change is needed to make use of these optimizations. Take a look at the doc (Oracle® Business Intelligence Discoverer Administration Guide, 10g Release 2 (10.1.2.1), Part No B13916-04) for more details. During some internal benchmark studies we found dramatic improvements in the size of the SQL sent to the database, parsing times, and execution times. Of course, not all queries would benefit from these improvements, but for large queries, especially the kinds that you would expect to find in Oracle Applications schemas, the performance gains can be quite substantial. And as Mark points out, the fact that custom folder cannot make use of these optimizations is another reason not to use them unless you absolutely have to. Around 18 minutes into his talk, he starts off on business intelligence and speaks for about 3-4 minutes on the topic. 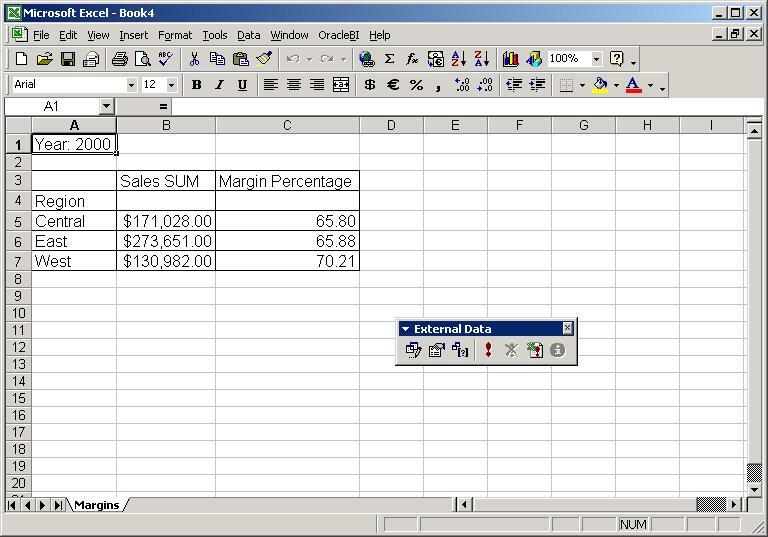 The emphasis was on embedding business intelligence into business applications. 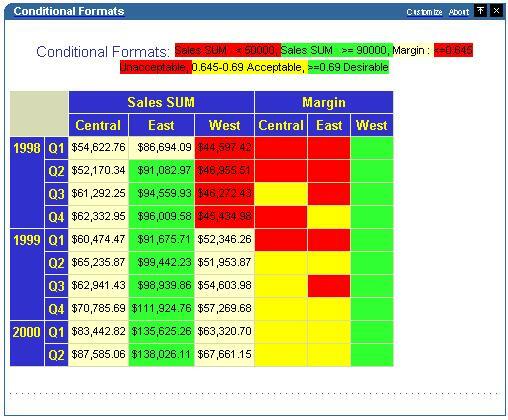 This is also consistent with what customers and sales consultants have to say about BI; it is much easier for a sales consultant to sell and much easier for a customer to understand the value of BI if it is wrapped around a 'solution'. Rather than talk about the latest and greatest improvements to a 'crosstab' or some new graph type, customers 'get' it much sooner if you show how BI actually helps them solve real-world problems, using the context of enterprise applications (like HR, Inventory, AR/AP, etc...) with data from their own industry. Larry also mentioned of BI being used to look at TAR (service requests) correlation with sales. Which we actually do today, at least in terms of using Discoverer to track bugs, by release, version, database, platform, component, etc... These reports are used throughout our development organization and I can't tell you how much more useful it is to look at a nicely formatted Discoverer report (in Plus or Viewer or even in Portal) and to be able to drill up/down, pivot, slice, dice, apply conditional & stoplight formats and all the other nice things you can do with Discoverer, and to drill out to the actual bug in our bug repository, rather than using some SQL prompt to write these queries, or to use static, canned reports. "At one time we highlighted BEA for a possible acquisition, but less so now," Ellison said. "We have passed them up...and they don't really want to be bought." He added that Oracle, through its presence in the database market, is already a top leader in the business intelligence market, reducing his desire to expand further via acquisitions. In case you are wondering about Oracle being a leader in BI, this is based on an IDC report, "Analytics and Data Warehousing Software: Market Analysis, Aug 2005". Oracle has a writeup here. So this should put to rest some of the silly rumors that keep flying about Oracle wanting to buy this or that BI vendor. We made huge strides with our Drake release (10.1.2), won lots more deals in straight head-on competition with the largest of independent BI vendors, have released an update to it a few weeks back (10.1.2.1), and will continue to come out with feature packed releases. You saw some concepts we have been working on - Report Center for one - at Ray's keynote, and will see more announcements in the coming time. (Note that Report Center is only a concept at this stage, we are not making any commitments to deliver any functionality shown there, and that it is premature to talk about release dates, etc... - I have to include this lest people start inferring and attributing things to me and get me in trouble). Well, not really 'weirdness' per-se, but I still had to write about this. Oracle for some time now has made its software available for download under a developer license on OTN. Apart from a lot of other things, one of the key restrictions of this license is that you cannot use the software so downloaded for "...internal data processing or for any commercial or production purposes...". But the software can be downloaded free - the database, application server, business intelligence, everything. Now, a week back or so, I tried registering for a webcast of a BI vendor's new product release launch. I will not name the vendor, but those keyed in on BI and BI vendors should know who I am talking about. They had a link on their site that allowed you to register for the event. So far so good. Now, the page that I went to had about a zillion things I was asked to fill out - which again I am willing to live with. After all, lead generation is a vital activity for any firm that wishes to sell its products / services. Why this sneakiness, and that too sneakiness that is so easily discovered?! I could maybe understand, if not accept, the fact that they did not want their competitors attending or viewing the webcast, but why these juvenile contrivances? Why not simply state that competitors are not welcome at this webcast? It reminded me of (yet) another BI vendor that simply blocks the oracle.com domain from registering for any webcasts or downloading white papers. Is it because the company missed its quarterly earnings this year, and is perhaps, just a wee bit, scared? This came up recently on the OTN Discoverer forum, where the poster asked how to remove the 'type' column from the List of Worksheets portlet. "Is there a way to remove the "Type" column from Discoverer List of Worksheets portlet? I can see where to remove Modified Date, Creation Date, etc., but it doesn't from there allow me to remove the "Type" column. 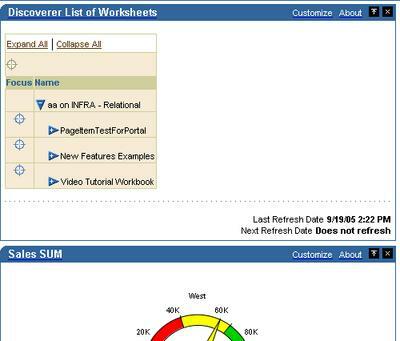 My users don't care whether it's a Workbook or Worksheet, and it's taking up valuable page real estate." While there is no way to remove this using the UI, yet (there is a reason why the 'type' column is mandatory), UIX makes it possible to remove this column. 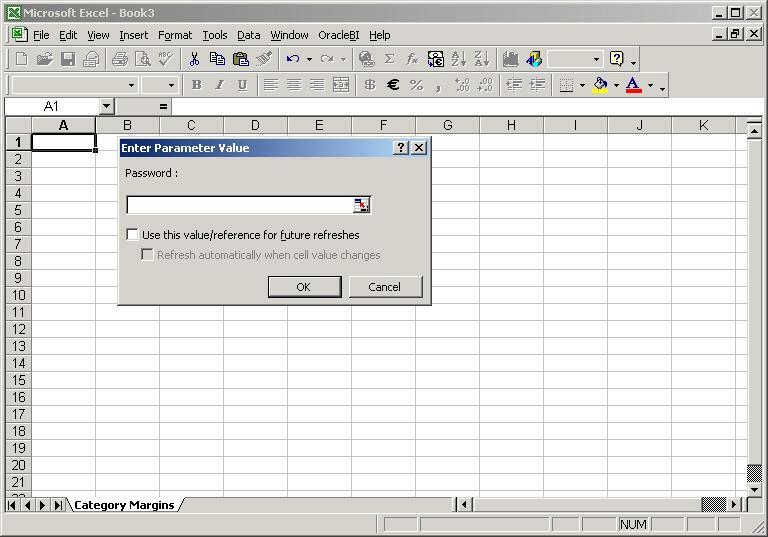 See my earlier posts about UIX and some other UIX hacks - "UIX Hack 1 - Removing the 'Connect Directly' section" and "UIX Hack 2 - Remove the Last Refresh Date from Discoverer Portlets". 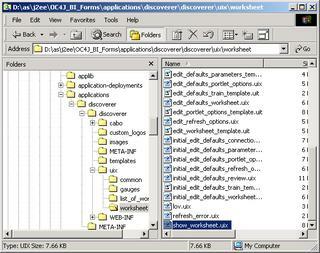 Take the screenshot below, where you have a simple List of Worksheets Discoverer portlet. What you do not want is for the 'Type' column to appear. 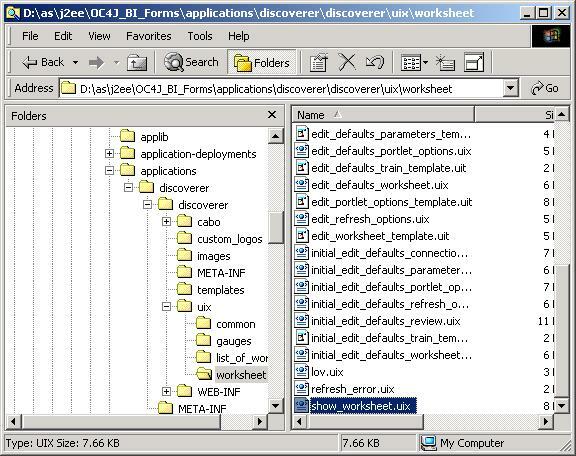 The UIX file you have to edit is located under your installation's "\j2ee\OC4J_BI_Forms\applications\discoverer\discoverer\uix\list_of_worksheets" folder, as shown below. The file you have to edit is "show_list_of_worksheets.uix". Note that I have made a backup of my file, BEFORE doing any editing - as should you. There are two (2) lines of code that you have to remove, as shown below. Be sure to delete only two lines, and the correct ones, as shown above. After you are done deleting these two lines, save and close the file. 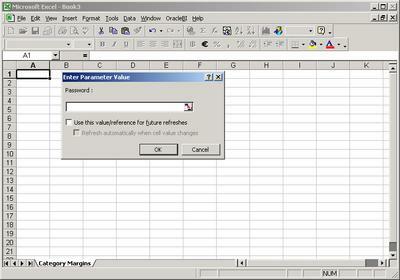 Then go to your Application Server Control and restart your 'OC4J_BI_Forms' component. Once the component has been restarted, refresh your Portal page. 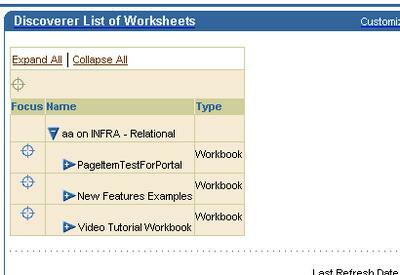 If you did everything right, and there really wasn't all that much to it anyways, your LOW portlet should now look like the image below: just the worksheet/workbook name and no 'type' column. The reason I ask is not because I have any plans of 'abandoning' this blog even if it were not very popular (which it isn't), but more to take stock of how much time and effort I need to put into this blog. Now, I have been using StatCounter.com to track traffic to this blog, and the results are quite ok, I think. But I do want to get some opinions on what people think. So, if you care to let me know - via comments - what you think, I would be much obliged. I will publish some numbers that I have been collecting via StatCounter towards the end of September. How many hits per week should this blog get? 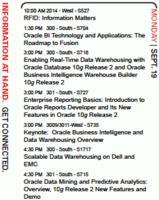 If you are attending OpenWorld, and are interested in the BI&DW sessions, there is a small handout available on OTN which lists out all the BI&DW sessions. You can download the PDF from the OTN BI site here. 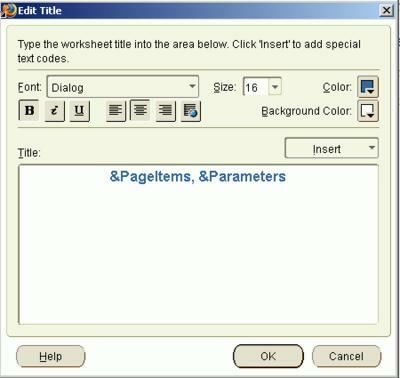 You may find at times that you do not want to display all page-items in your worksheet title, or all parameters, but only some selected ones. The standard list of meta-tokens available in a title does not seem to offer what you need in this case. But, there is a 'hidden' (or undocumented) way of achieving this. Let's see with an example. In my worksheet title, I have added these two meta-tokens: &PageItems and &Parameters. 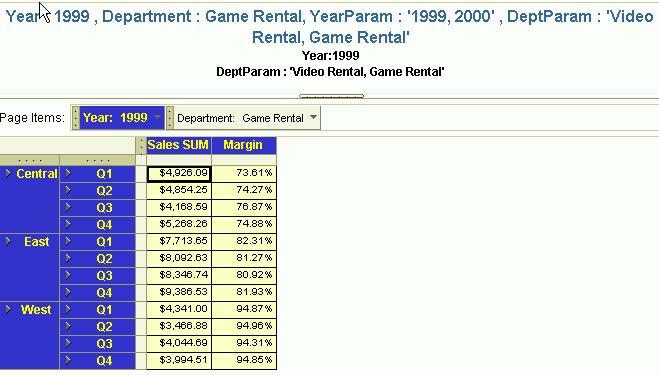 When I run this worksheet, all page items - Year and Department, and all parameters selected - 1999 and 2000 for year, and 'Video Rental' and 'Game Rental' are displayed in the title. If you see below, the names I have given to the two parameters in my worksheet are "YearParam" for the year based parameter and "DeptParam" for the Department based parameter. I now edit my worksheet title, and add these two meta-tokens: &Year and &DeptParam, see what happens now. To make it easier to see the difference between the &PageItems, &Parameters standard meta-tokens on the one hand, and between the &Year and &DeptParam meta-tokens on the other, I have kept all of them in the title, and formatted the new meta-tokens differently. Instead of seeing ALL page-items, only the selected value for the Year page-item is displayed, while in the case of the new parameter meta-token, only the selected values for the 'DeptParam' parameter are displayed. Oracle buying Siebel, in a friendly deal. Frankly speaking, this came as a surprise to me, even though Oracle had mentioned Siebel (and BEA among other companies) as one of its potential takeover targets, I doubt if people really believed Oracle would do another big acquisition so soon. But then the signs were there for people to see: Charles Philips' statement that Oracle had completed the PeopleSoft deal and that it was ready to do more deals. Oracle's hiring of Greg Maffei as its new CFO. Hmm..
Read the Oracle press release here. Read the Siebel press release here - the Siebel link actually points to an Oracle URL. Which is $3.61 billion net of Siebel's cash on hand of $2.24 billion. Registrations for this year's OpenWorld have crossed all previous records. This is the result of combining AppsWorld and OpenWorld into one event last year, and the fact that this year is going to see PeopleSoft (PeopleSoft Connect) and JD Edwards (JD Edwards World Program) events also rolled into OpenWorld. Now, I have been to the Moscone center at an earlier OpenWorld, and the numbers tell me that it is going to be one very crowded place! All (Oracle) employees therefore have been given instructions and guidelines to ensure everyone who has paid for the conference gets to attend the events they are interested in. One of the more amusing guidelines (partly in jest and partly to underscore the point) is "The only extra privilege employee speakers will have is guaranteed access to their own session." The Last Refresh Date/Time and Next Refresh Date-Time stamp that appears at the bottom right of every Discoverer portlet may not always be required by people, for a variety of different reasons. 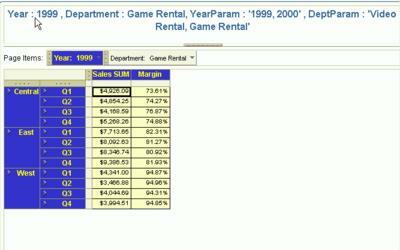 It can take up screen real estate; people don’t really care about this field and would rather not see it. For whatever reasons, it may not be required in all cases. Removing it is relatively simple – provided you are willing to indulge in a little bit of UIX editing. Ok, so it not supported, nor would I advise you to go about hacking your way through UIX files. But, if you feel confident enough, this is a relatively simple exercise. You can read my earlier post about UIX and the caveats that apply. 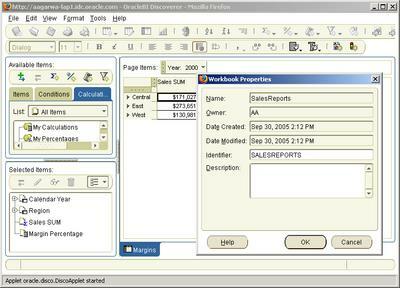 This is a Discoverer worksheet portlet, with the date-time stamped at the bottom right corner. 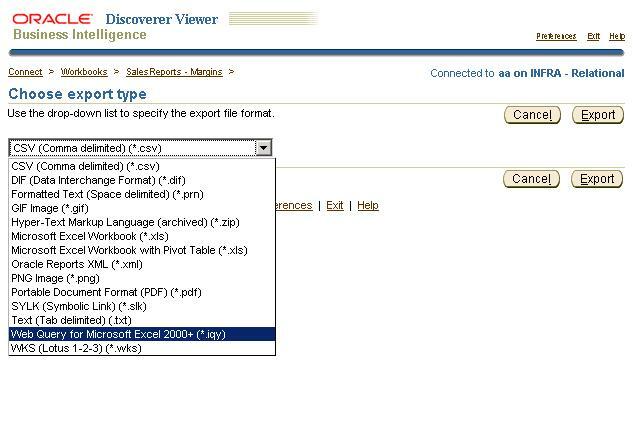 If you want to remove this from the Discoverer worksheet portlet – i.e. 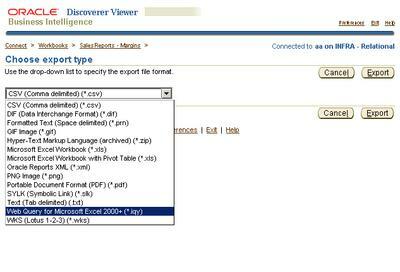 if you do NOT want this value to appear on ANY Discoverer worksheet portlet, you have to modify one file. 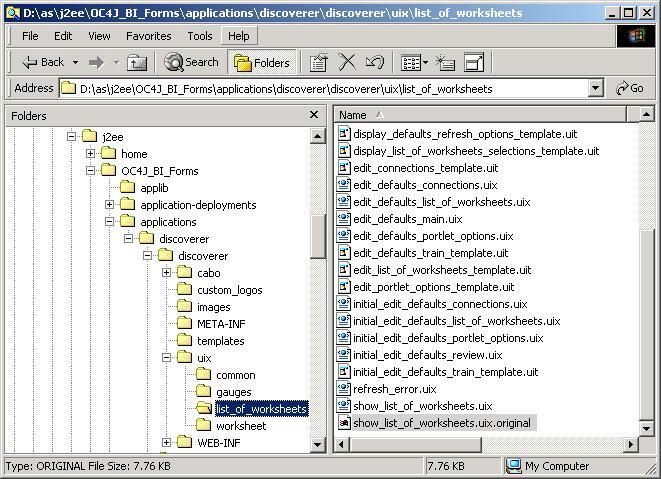 The file name is ‘show_worksheet.uix’ and is located under your Oracle home's \j2ee\OC4J_BI_Forms\applications\discoverer\discoverer\uix\worksheet folder. In my case, I am using the phase 2 release of the app server (10.1.2.0.2) (see earlier posts - 1, 2, and 3), and therefore Discoverer is installed in the same Oracle home as my app server. Make a backup of this file BEFORE you do anything further. Look for the lines highlighted above (hint: search for the string ‘refresh contents’). Delete the highlighted lines as shown above. Re-start your OC4J_BI_Forms instance (use your OEM App Server Control for that). Refresh your Portal page (you may need to close your browser and re-login to Portal in case you have issues with your browser cache). 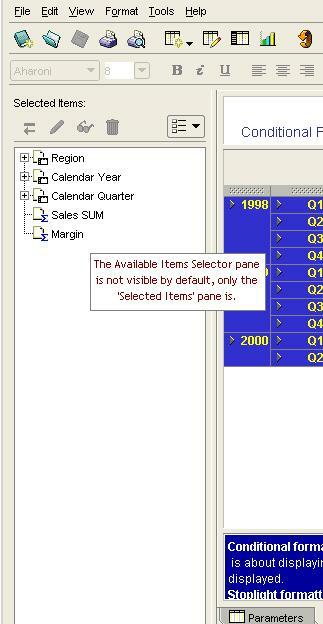 You can also choose to remove this date-time for all kinds of Discoverer portlets – List of Worksheets and Gauges portlets too, but that is a post for another day (relatively simple, actually). Among the many improvements in Discoverer 10.1.2 (aka 'Drake'), one was the availability of two new panes in Plus - the 'Available Items Navigator' and the 'Selected Items Navigator'. 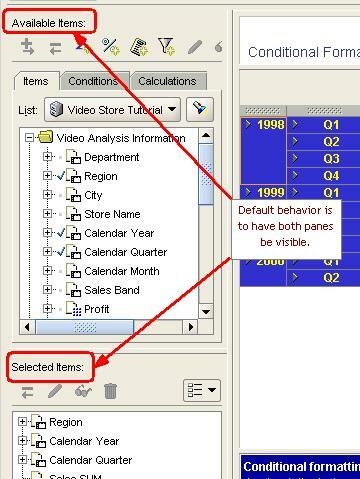 A user can choose to view or hide either or both these panes by using the 'View' menu option. However the default setting for both these panes is for them to be switched 'on'. These settings are controlled by a two preferences, which had not been exposed through the Discoverer preferences pref.txt file in 10.1.2.0.0, but am happy to say are part of pref.txt in phase 2. If I start up Discoverer Plus, I see both the 'Available Items Navigator' and the 'Selected Items Navigator' panes, as shown below. Now, I open up my pref.txt file - which is where default Discoverer preferences are stored. This file is stored under my \discoverer\util\ folder, and I can get to it by using the menu shown below: note that here I have chosen to install phase 2 of the app server, and therefore have Discoverer as part of the BI & Forms install type (see my earlier post for details). Of interest are the very first preferences in the [Application] section. The 'EUL Object Navigator' preference is for the 'Available Items Navigator' pane, while the 'Selected Object Navigator' is for the 'Selected Items Navigator'. For the sake of this exercise, I do not want users connecting for the first time to Plus to see the 'Available Items Navigator'. 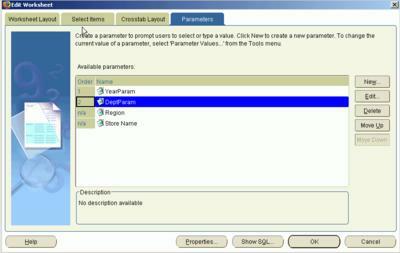 Therefore, I change the value for that preference ('EUL Object Navigator') to 0 (zero). Save the file, and apply the changed preferences - by either using the menu option as shown in the screenshot above, or by running the \discoverer\util\applypreferences.bat file from a command line prompt. Once this is done, reconnect to Discoverer Plus as a user that has not connected to Plus before. As you can see below, the 'Available Items Navigator' is no longer visible. Users can always add it back by using the 'View' menu. There may be 50 ways to leave your lover, and there are almost as many ways of getting information about Oracle Business Intelligence. Oracle.com - Information on solutions, products, and business oriented information. OTN - Oracle Technology Network. Provides access to tech notes, demos, white papers, and lots more. Oracle Support on Metalink - provides access to support tech notes, technical white papers, certification information, patches downloads, and lots more. OTN Forums - discussion forums for Oracle products and technologies. 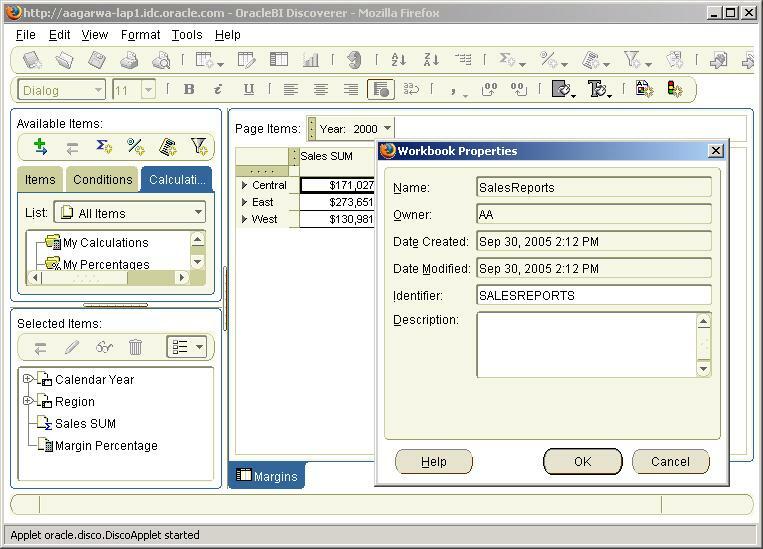 Printed documentation - can be purchased from the Oracle Store. Online doc: PDF as well as HTML versions. Browse online or download zip files. Oracle Broadband (formerly known as the e-business Network, or EBN) - videos and more. Oracle Internet Seminars - online seminars. Oracle By Example - hands-on, step-by-step instructions. Sample Code - code you can use. Oracle training - from Oracle University. Offers Instructor Led Trainings, Live Webcasts, Self-study CD-ROMs, self-paced online, and private events. Oracle Magazine - Discusses new Oracle products and technologies. You can get a free subscription to it. Profit Magazine - This is more focussed on what it calls the 'business of technology', highlighting customer uses of Oracle products and technology. They recently had a special issue titled "Banking on Business Intelligence" that focussed on Financial Services. The blog - what you are just reading. You should also check out Mark Rittman's blog. Attend the keynotes and related tracks and sessions. Visit the demogrounds and see the product in action; get to talk to people from product management and development; and even get insights and maybe sneak peeks into what really cool enhancements we are building for future releases. There are clost to 30 tracks and sessions for BI & DW. You search for these tracks at the online catalog. Below are just a few that should be interesting to attend. 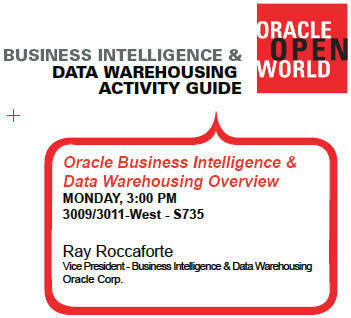 Keynote: Oracle Business Intelligence and Data Warehousing Overview - by Ray Roccaforte. Discoverer and the rest of Oracle Business Intelligence can be found in the demogrounds with the Fusion Middleware section, along with the other Fusion middleware products like Oracle Application Server 10g, Oracle Collaboration Suite 10g, etc... BI is in section 'C' of the demogrounds. See the floor plan here. "This exclusive two-day program will consist of highly technical, deep-dive content not typically available in the regular OpenWorld agenda. Oracle experts from applications and technology will be on hand to guide you through a series of intense breakout sessions, and X-Treme hands-on workshops." 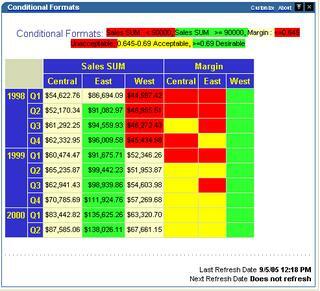 The Business Intelligence & Data Warehousing shows up as sold out. These will run at Moscone West, Room 1006. Click on 'Investor Relations' from the Oracle home page, and look for a webcast titled, 'Ask the Oracle Expert: Ray Roccaforte'. Or you can click here to go directly to the webcast. A PDF version of the presentation that accompanied the talk is also available here. And you can catch a lot more at the upcoming OpenWorld in San Francisco from Sep 17-22. More on that in a later post.